I recently read a very thought provoking (and practical) article that had been passed along to me by a bright young architect and colleague. The article, "Practice Matters" by Andrew Pressman (FAIA), appeared in the 04/2009 volume of Architectural Record. The article explores the importance of teamwork in the architectural practice and then goes on to explain how it can be fostered. As I read the article, I kept going back to my own professional pursuits in the area of photographic art, and although I generally work "alone," much of what was being related seemed germane to my own creative work. How could creative teamwork have anything to do with me? I finally realized what was going on. When I leave the studio and visit a potential site for creative work, there are at least three entities that end up being involved the process. The most obvious one is myself. If I am not involved, there simply is no creative process at work. This may seem like a trivial matter not even worth discussing, but there really is something important to consider here. My words here– "If I am not involved..."– describe the issue precisely. 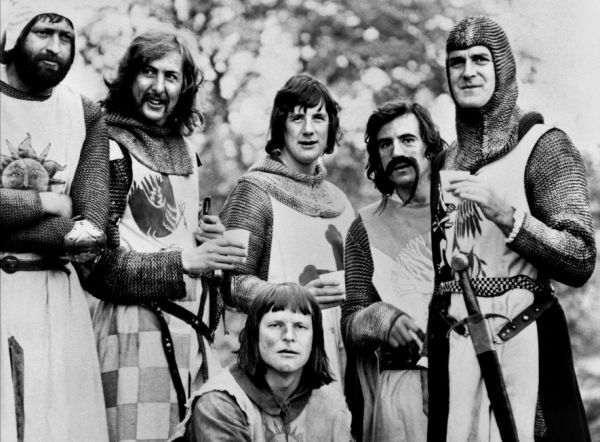 For anything significant to occur, I must be involved. Simply showing up is of no profit. I have to be fully engaged in the process, open to what is going on around me (as well as within me), and ready to change course in a moment's notice if required. This is a very dynamic and active process for the individual artist. The second entity is not quite as obvious, but it certainly comes to mind if you think about it just a little. This would be the subject. When the creative matter at hand is portraiture, it is pretty obvious that the subject is an entity with whom the creative agent can and needs to communicate and relate on a very personal level. Generally, the deeper and richer the communication is between these two, the deeper and richer the potential creative result can be. If the image to be made is not a portrait, the subject is less likely to be engaged in an interactive relationship. Here, the subject (architecture, landscape, abstract, or other) will mostly be involved in one-way communication (speaking, not listening), but just because it's one-way, doesn't mean you shouldn't be fully engaged with it. In fact, this makes it even more important for the artist to listen carefully, and to look closely in order to discover what the subject is saying. And even then, it can be helpful for the artist to verbalize their own response to what they believe the subject is saying. Speaking these thoughts out loud can even clarify what is transpiring internally in you (yes, people may whisper about you if they witness this, but so what?!). And this brings us to the third entity. What could be more stimulating, and more productive for an artist than to collaborate with the One Who is, in fact, the ultimate Creator? So often the Creator is given short shrift in the creative process, but we do so to our own detriment. The Creator did not simply finish His active creating in the beginning and then retire for the remainder of eternity. He may have "rested" for a day, but then His activity began again in ernest. As we are involved in the process of creating art (or any other creative activity) it is of high significance to seek personal communication and relationship with the One Who created all. And as with any personal relationship, we cannot make it happen on our own. All we can do is simply seek the relationship and be open to it. It is His prerogative to invite us into His sphere, His initiative to give us the incredible benefits of His thoughts, and His power and gifts to enable us to create worthy art. This is collaboration taken to the ultimate degree. If you want to know what creativity is all about, spend some time with the Creator. 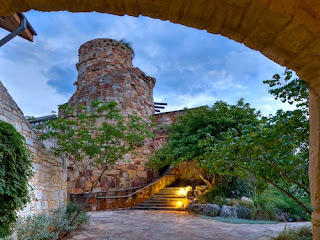 The Lady Bird Johnson Wildflower Center in Austin, Texas (and part of the University of Texas) was an exceptional venue to host the recent art festival there in which I participated. The architecture, the landscaping of native plantings, and the Central Texas springtime in the air were marvelous. And the camaraderie of my creative sisters and brothers who participated in the show was certainly stimulating. I would like to thank the multitudes of art patrons and enthusiasts who visited my exhibit over the weekend, many of whom are now brand new readers of my blog here. These folks were not only highly encouraging of my work, but had some superb aesthetic insight into the specific pieces I had displayed. It is wonderful to have the opportunity to share such diverse artistic thoughts, opinions, understanding, and conversation. I must say that I was somewhat overwhelmed by the extremely positive response I received from the hundreds of people who spent significant time in my booth. The most frequent comments that I heard over the two-day show were: "These are gorgeous! "– "...stunning! "– "...incredible work!" While I certainly appreciated these comments, I was humbled by their intensity and volume, as I realize that what they were really admiring was the stunning beauty of the natural scenes themselves that I had hoped to capture in some small way. This thought is driven home even more forcefully as I remember many of the people commenting that the photos looked "incredibly three-dimensional" and that "...it seems like I am looking right out a window at a field of flowers." This makes it absolutely clear to me that the subject of their appreciation was, in fact, the beauty of the Creation itself. As much as I would enjoy to receive these accolades myself, I must pass them along to the Creator, Who not only brought about the specific beauty of these natural locales, but Who is the ultimate Author of Beauty itself. The show was a couple of very long days of mostly standing on my feet and talking with hundreds of people (maybe more than a thousand? ), but overall it was rewarding on many different levels. I definitely look forward to seeing these folks again next year! This spring, some lucky person will receive their choice of one of four fine art panoramic photographs shown below from my "Oceans of Flowers" Texas wildflowers series. The winner will be drawn randomly from my blog's email subscription list to receive the photograph. If you have not yet subscribed to my blog updates by email (and you can only do that here), you can do so by simply typing your currently valid email address in the "Follow Bill by Email" box in the right sidebar of this blog (don't forget to click on "Submit"). Or, you can click here. A verification email will then be sent to your address— when you receive it, just click on the link provided to verify you have received it. This will add you to my subscription list. These photographs have been produced to my usual archival standards, printed on extra heavy archival matte paper (about 8" by 40") using state of the art pigment-based printing processes. The past few months have seen the Texas Hill Country abundantly blessed with sweet rain from the heavens. Although not all of the effects of a year and a half of extreme drought have been assuaged, the rainfall has been more than sufficient to insure a more than average wildflower season. This is reason enough to make a trip to the Hill Country, but while you are there, please plan to visit my exhibit at the marvelous Lady Bird Johnson Wildflower Center in Austin. I will be back again for the Center's annual springtime Artisans Festival. This is my third opportunity to exhibit my fine art panoramic photographs (I will be indoors in the Visitors Gallery again) alongside other fine artists from all over Texas and beyond. 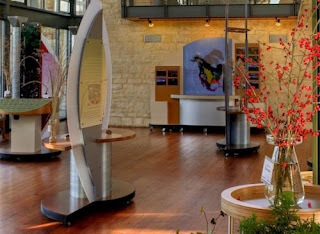 The Wildflower Center is a fine setting for enjoying such an incredible collection of art and a wonderful place to spend most of the day. The Center's architecture, walking paths, and magnificent display of Texas wildflowers and native plants is a great reason to make the trip, but the opportunity of finding some truly special art works and taking them home should make it mandatory. At the show I will have new work that has not previously been seen in the Austin area. Be sure to make plans to visit the Center and to see my work. I'll see you there! Also, check my blog again between now and the show, as I will be revealing details of a wonderful opportunity you may have to own some of my work, gratis! And if you haven't yet signed up for an email subscription to updates to this blog, please do so in the "Follow Bill by email" box at the right.